Two U.S. Air Force fighter jets intercepted two Russian bombers off the coast of Alaska, according to the North American Aerospace Defense Command. 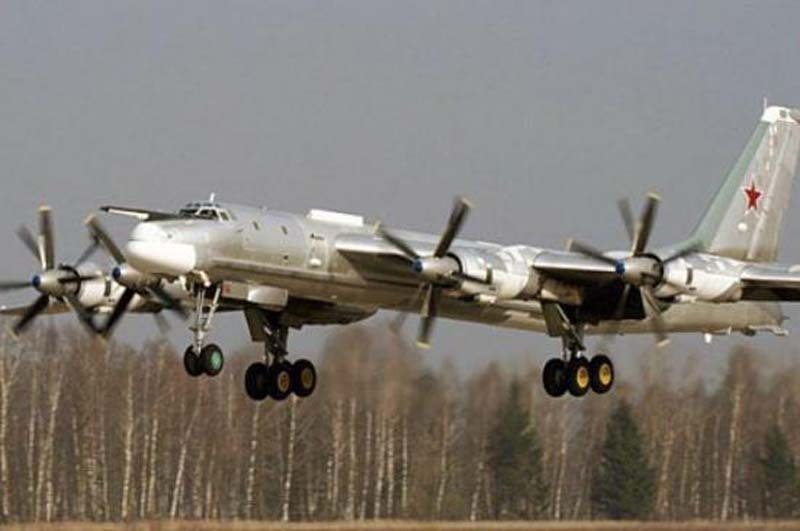 The two nuclear capable Tupolev TU-95 Russian bombers came within 55 miles of Alaska's west coast when they entered the 200-mile Air Defense Identification Zone on Friday, defense officials told Fox News. Two Russian fighter jets accompanied the bombers, CNN reported. The U.S. F-22 stealth fighter jets monitored the Cold War-era Russian bombers, which never entered sovereign North American airspace, Canadian Army Maj. Andrew Hennessey, a NORAD spokesman, said. The Washington Free Beacon, a conservative news website, first reported the intercept.